The winning poems of this challenge, plus a commissioned poem by the challenge-writer, judge, and poet Helen Mort, can be read in our beautiful new anthology, below. Though I am the Universe is now closed for entries, you can still read the challenge below and write your own climate-inspired poems. Sometimes a journey to a new landscape can alter the way you look at things. It might excite you. It might make you feel small in the face of it, aware of your scale in the world, or alert to how much the earth is changing – and changing it certainly is. Over the last 200 years, human activities – particularly the burning of fossil fuels – have released sufficient quantities of carbon dioxide and other greenhouse gases to affect the global climate. The atmospheric concentration of carbon dioxide has increased by more than 30% since pre-industrial times, trapping more heat in the lower atmosphere. This has resulted in melting ice caps, rising sea levels, acidification of the oceans and a major increase in extreme weather events, threatening crops, homes and lives across the globe. These changes, combined with the exploitation of our seas, lands and forests through over-consumption and rampant industry, have led to an undeniable changing of the landscape – and major impacts on the species that inhabit it. The Romantic period (1780-1830) not only saw the beginnings of industrialisation and human-made climate change, but also a remarkable flowering of writing concerned with the complex and conflicted relationship between humans and nonhuman nature. Romantic authors were particularly concerned by our vulnerability to natural forces beyond our control, but also emphasised the power of the human imagination to shape the world. Comparing Romantic narratives of landscape and elemental forces to the ways that modern artists have responded to environmental change lets us consider how we make connections with the ground beneath our feet – and offers us, perhaps, ways to take action to save it. Unknowing where, and hopeless of a home. Reading prompt: What kind of journey do you think this is – peaceful or turbulent? 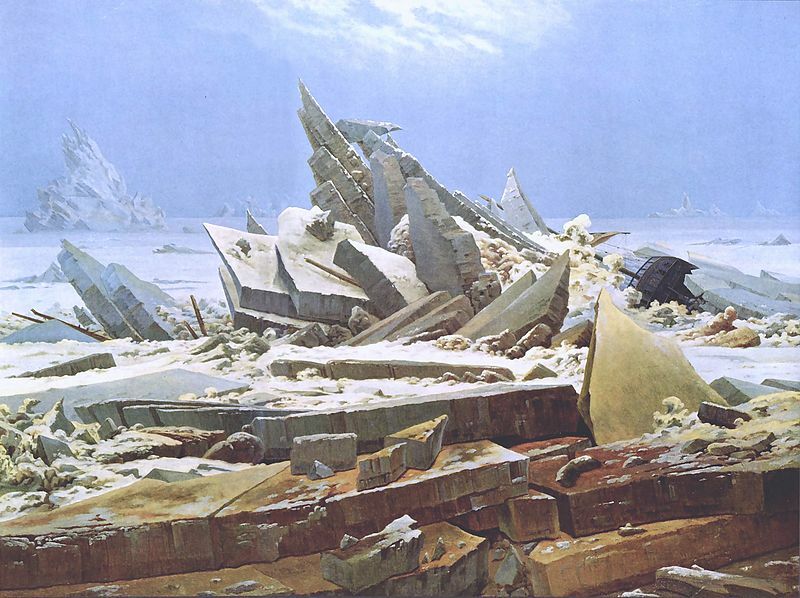 How does it compare to the scene pictured in Ackroyd and Harvey’s photo ‘Ice Lens’ at the top of this page, or to Friedrich’s painting ‘Das Eismeer, or Sea of Ice’)? In pairs, draw up a list of the key words and phrases Eleanor Anne uses to describe the scene, focussing on verbs and adjectives. 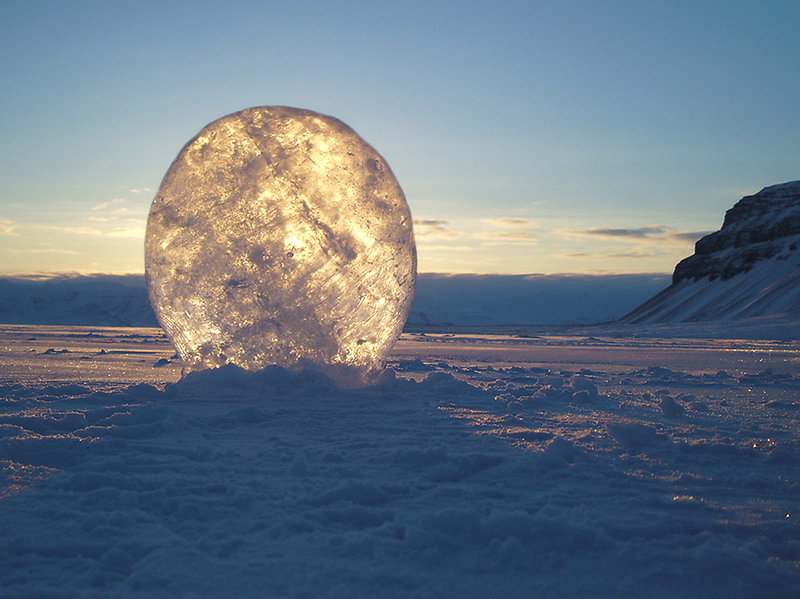 Now look at ‘Red Ice’ above, a photograph by Chris Wainwright. What kind of mood does this depiction of ice create? 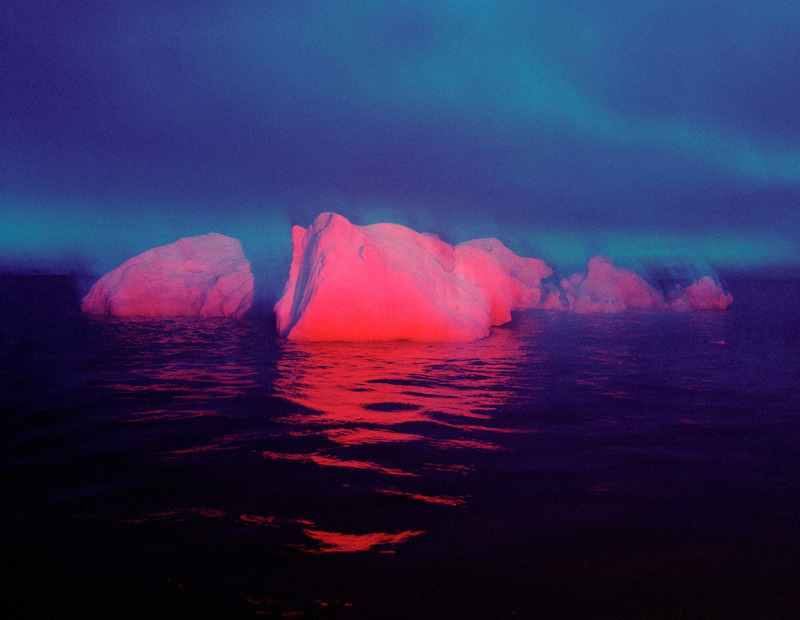 Why do you think the artist has chosen the colour red for the ice in this image? Of lightning through the tempest…. Read this extract out loud. What kind of mood does it create? Reading prompt: Here, two people are seeing the same mountain slightly differently. Compare and contrast these two pieces of writing about the same mountain, picking out as many different descriptions as you can. 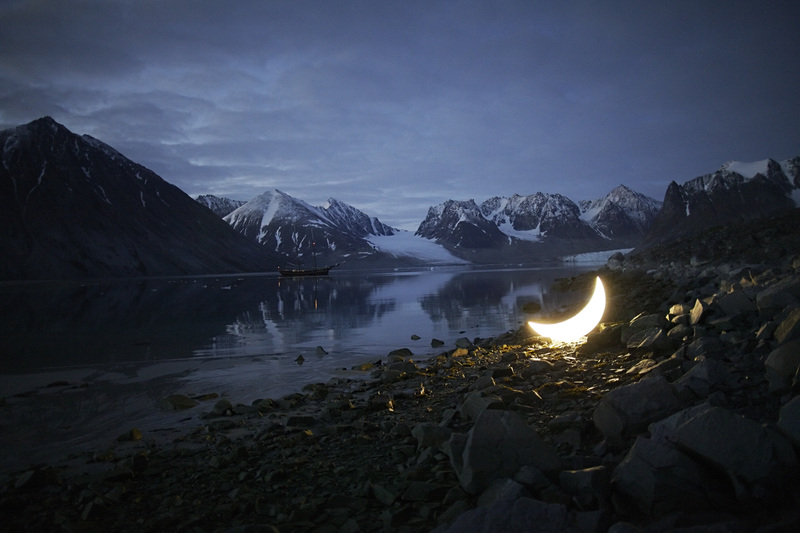 Now look at the images of mountains depicted in ‘Mont Blanc: journey of the private moon in the Arctic’ by Tishkov and ‘Mountains – Birds’ by Gautier Blond. How do these images of mountains make you feel? In awe? Excited? Frightened? Exhilarated? Make a mind map and write down as many words to describe your feelings as you can. 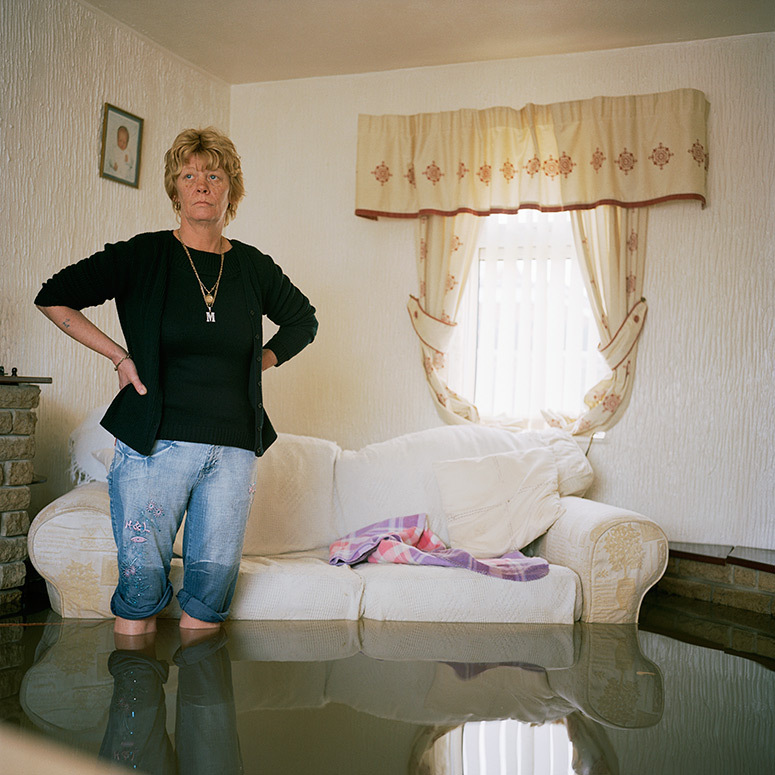 Writing prompt: Look at ‘Drowning World’ by Gideon Mendel, above, which provides harrowing but beautiful portraits of whole cities getting submerged by freak floods and rising tides. 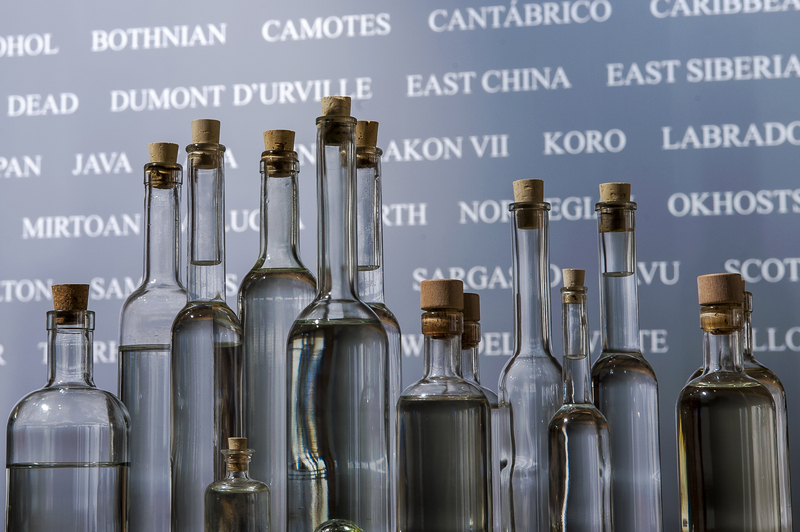 Now look at ‘All The Seas’ by Tania Kovats which explores the idea of natural elements being contained and displayed – the sea in a bottle. Choose a type of weather (it could be rain, wind, snow…). Now choose a container of some kind: a room, a box, a handbag, a pencil case. Put the weather in the container and see what happens. This is the title for your piece of writing, e.g. ‘Rain in a handbag’, ‘Snow in my kitchen’…. Think about how you are going to capture the reader’s attention with your opening line, eg. : “I open the bag, and a thunderstorm leaps out, / lightning singeing the carpet”. All the scenes of adventure we’ve considered here have also contained a writer or an artist, someone who is looking at those things and observing them. How could the writer be brought into the scene too? Look at the above photograph by Alex Boyd. The image shows musician Hannah Tulukki in a surprising setting – it’s a portrait of an adventure. 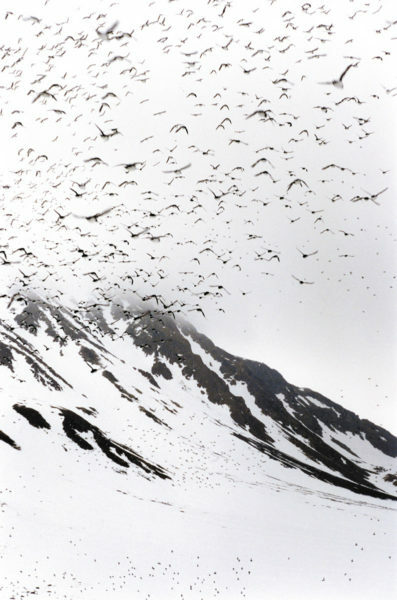 Hannah’s project ‘Away with the Birds’ looked to explore our relationship to birds, flight and freedom – she embodied a spirit taking on the elements. 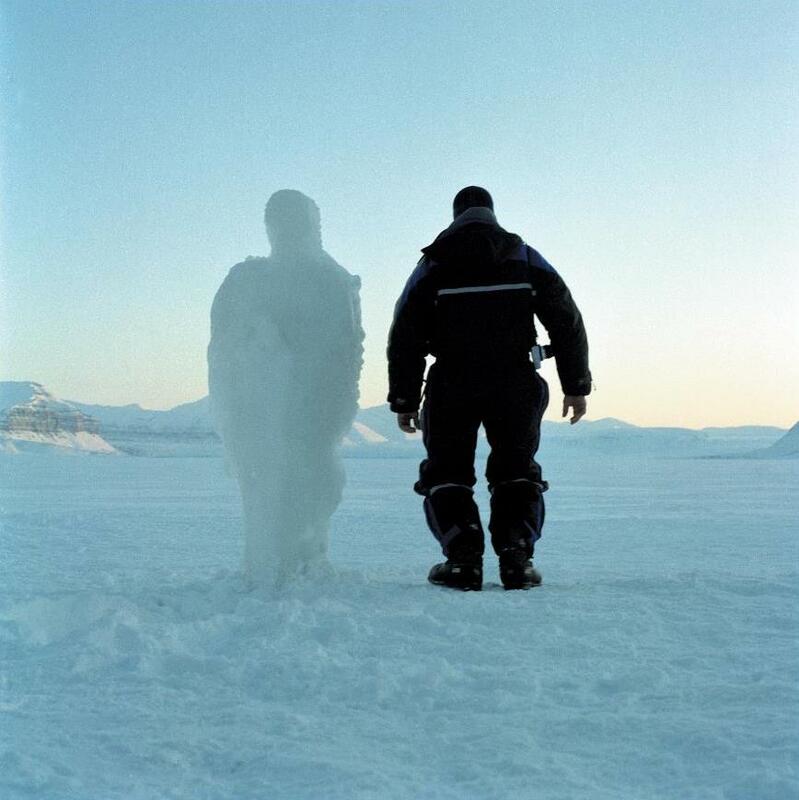 Now look at Antony Gormley’s ‘Marker One’ photograph, where a person stands next to a figure made from snow. Is this a portrait made from snow, a ghost or a double? Here are some more examples of poems that explore an element of self-portrait. 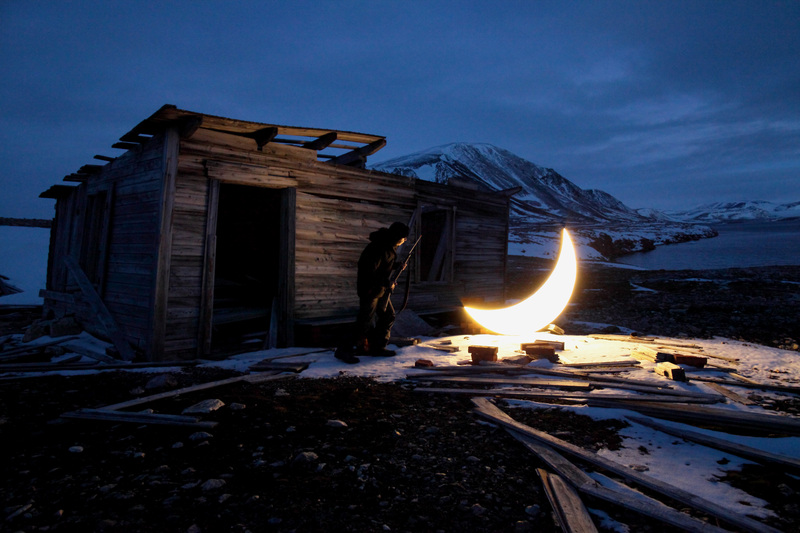 Be as imaginative as you like. Before you start, you might want to spend some time sketching out ideas for descriptions or phrases you might include. You might even do a drawing first! Whatever kind of poems these workshops inspire in you, I want to read them! Get writing, and good luck. The top winning poets, selected by Helen Mort, will have the opportunity to perform their poem at a showcase event at the ‘Mediating Climate Change’ conference in Leeds in early July 2017. Winning poets will also have their poems published on the Young Poets Network and receive an exclusive Young Poets Network notebook, as well as other assorted poetry goodies. This challenge is now closed. Thanks so much to everyone who entered – you can read the winning poems by following the links at the side of the page.